Youku is one of the most well-known websites in China. It is a video hosting service headquartered in Beijing, China. Youku keeps growing fast, it has about 500 million monthly active users and around 800 million video views every day. The Youku is the top online video streaming service in China. Therefore just like many other well-known websites, it is geographically restricted to mainland China. As Youku offers some of the best movies and TV shows, then many people around the world wonder how to unblock Youku outside China. In this article, you will find out how with a VPN service you can watch Youku from any place in the world. To unblock and access Youku outside China, you need a VPN service with servers in China. Some of the best VPN providers for China include HideMyAss and PureVPN. Both of these VPNs have servers in China, which makes Youku video streaming from abroad of China a lot easier. Most of the popular Chinese video streaming sites like Youku, Shou and Tudou are unavailable for the internet users outside of China. These services are limited to users that are based in China. The regulations are imposed by the Chinese government. Therefore, Youku and other Chinese websites are geo-blocked. To stream and watch Youku away from China, you need to have a Chinese IP address. With a VPN software that has servers in China, you can get a Chinese IP. Also, VPN allows you to bypass Geo-blocks. You can unblock websites and content as well as keep your internet identity completely anonymous. With a VPN, you can bypass Geo-blocks and watch Youku from anywhere on the planet. All you need is a VPN service for China. VPN for China allows you to redirect your traffic to a remote server. It works like a proxy service, plus it provides an encryption and lets you transfer your data anonymously. Moreover, VPN hides your IP address and allocates you a new one in a country to which server you connect. So for example, if you are living in the USA then by connecting to a server in China, you will change your virtual location from the United States to China. This process allows you to bypass all geographic restrictions. Choose a VPN provider with a server in China. As mentioned before, we recommend choosing between HideMyAss or Pure VPN. Both of it provides a stable and robust VPN connection and fast speeds. To see other options, check out our page about the best VPN providers for China. Go to the VPN provider’s website and choose the most suitable subscription plan. Then proceed with the payment of the VPN. 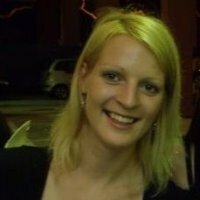 Download, install and set up the VPN software on your computer. Get an app on your mobile device. After you have set up and logged in, look for a server based in China and press “Connect” button. Go to Youku website and login with your account. Now you can access the library of movies and TV shows from anywhere. 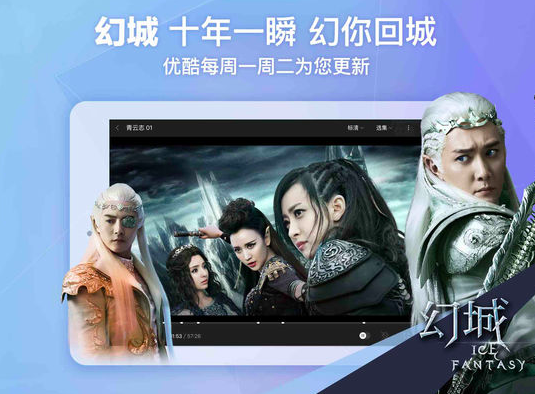 Sit back, relax and enjoy the unblocked Youku movies and TV-shows. Youku has its own dedicated mobile phone app for iOS users. You can access the app for free on the AppStore. However, if you are living outside China, again you will experience Geo-restrictions. To watch Youku using the iPhone or iPad outside of China, you need a VPN service. Get a VPN provider with a server in China. Go to its website and make a VPN purchase. Once the download is over, open the app. Follow the pop-up notifications. It will require to configure the VPN on your iOS device, click allow to do the auto setup. Once you see a VPN logo on your notification screen, it means that you have successfully established a VPN connection. 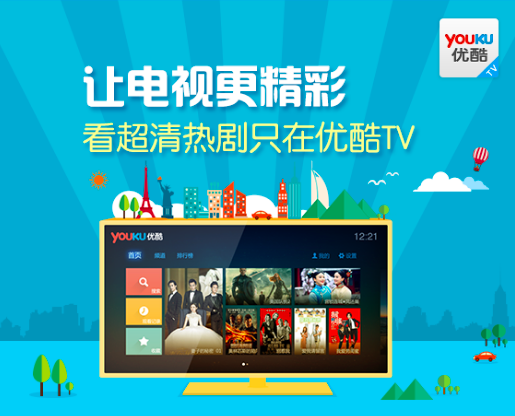 Now you can open Youku smartphone app and stream videos from anywhere in the globe. Just like iOS app, Youku offers a free app also for its Android device users. The app is available for download on Google Play. However, again if you are not living China, you will need a VPN connection to unblock Youku outside China and watch it on your Android phone or tablet. Go to the VPN provider’s website and make a purchase based on a VPN subscription plan you choose. Go to Google Play Store and look for your VPN’s app. Configuration is hassle free as it does everything while you are installing the app. Once you install the app, open the app and select a server location in China. It will show up a VPN sign on your notification screen to indicate that the VPN connection is active. Go to Youku app and watch your favorite shows from anywhere. Although Chinese video streaming giant is not available in countries outside of China, the demand for its service is significant. But the best way to access it from other parts of the world is by getting a VPN service with servers in China. You can watch Youku on your computer as well as on your mobile devices. You can install VPN software on computers that run Windows, Mac or Linux operating systems and mobile devices with iOS or Android systems. Furthermore, a VPN allows you to get the China IP address, and it encrypts your traffic, allowing access to any restricted website in China and anonymous internet browsing.